Will you drive a car that would rather 'talk' to nearby vehicles for navigation than to wait for your 'instruction' to maneuver a risky driving situation? According to report, the US government has given a green light for a technology that'd enable a car to see a crash coming even if its driver doesn't. But for this to happen, it will require automakers to equip new vehicles with technology that lets cars warn each other if they're heading toward peril. 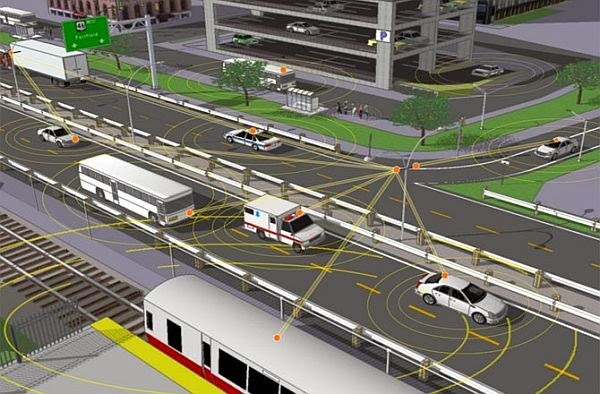 The US federal transportation believes this will have game-changing potential to cut collisions, deaths and injuries. A radio signal would transmit a vehicle's position, heading, speed and other information. Cars and light trucks would receive the same information back from other cars, and a vehicle's computer would alert its driver to an impending collision. Alerts could be in the form of a flashing message, an audible warning, or a driver's seat that rumbles. Some systems might even automatically brake to avoid an accident if manufacturers choose to include that option. Your car would "see" when another car or truck equipped with the same technology was about to run a red light, even if that vehicle was hidden around a corner. 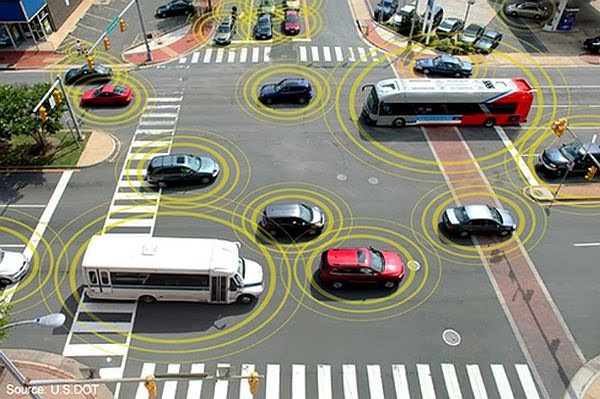 Your car would also know when a car several vehicles ahead in a line of traffic had made a sudden stop and alert you even before you saw brake lights The technology works up to about 300 yards. Very interesting preposition here; I have a personal concern, though. The more you take the personal responsibility out of the hands of the driver, the more likely you are to have an accident. Especially so with new, inexperienced drivers. One day a new driver who has experience only with new high-tech cars gets behind the wheel of a slightly older car without this technology. He thought the car is going to stop for him and banggg! He rammed a nice looking talking car at a busy junction. "Oppss, I forgot this car can't 'talk', sorry."